This towel offers the perfect combination of performance and value to control consumption. 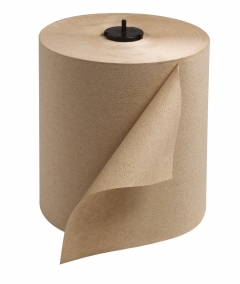 Designed specifically for the Tork Elevation Matic Hand Towel Roll Dispensers, this Tork Universal Matic Hand Towel offers a high performing product for no-touch, hygienic dispensing systems. Developed for easy maintenance in high traffic washrooms. ECOLOGO and Green Seal Certified, EPA Compliant, and Compostable Verified by Independent Verification for reduced environmental impact. * Only sold by the case. 6 rolls per case.